Bern Backpackers Hotel&Hostel Glocke i Bern, Schweiz: Bestill nå! 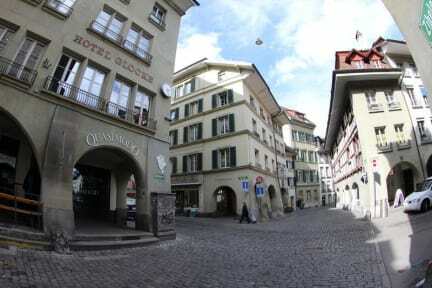 Bern Backpackers is the most centrally located hostel in Bern. The historic building is part of the city's UNESCO world heritage area. Close to restaurants, bars, clubs museums and theatres. August 2011 and January 2012! As voted for by Hostelworld.com customers. 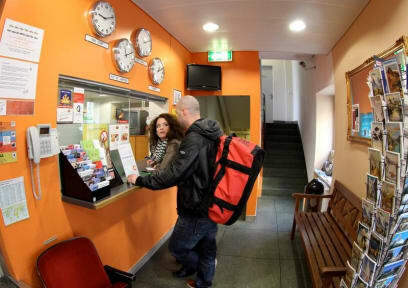 Our hostel is clean, safe, comfortable and well equipped which ensures your stay is a pleasant and enjoyable one. Not included: CHF. 5.30 tourist tax per person per night. As a solotraveler I found the hostel a little boring. There were literally no one that hung out in the commons. I wish the staff would put a little effort into doing something social. Although, I do think the staff was awesome, they were helpful and the service was great. The location was perfect. Switzerland is a quite expensice country, I recommend you use the kitchen facilites.